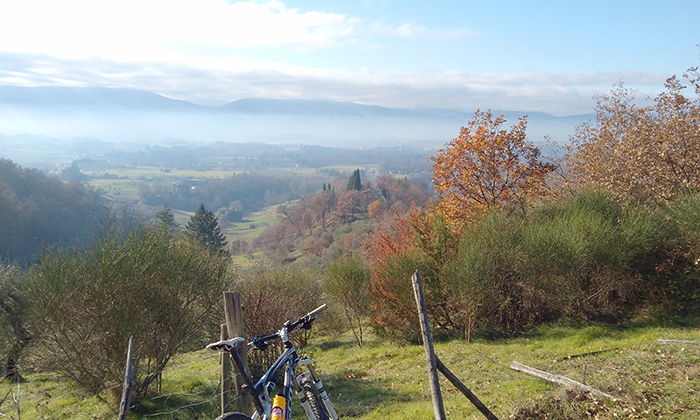 From the city center to the mountains by train + bike. From the city center to the mountains, we’ll take environmentally friendly modes of transportation, via train first and then by bike. The train will allow us to exit the city center and arrive in an ecologically sound way, bypassing traditional traffic, and avoiding paths potentially unsafe for bicyclist. 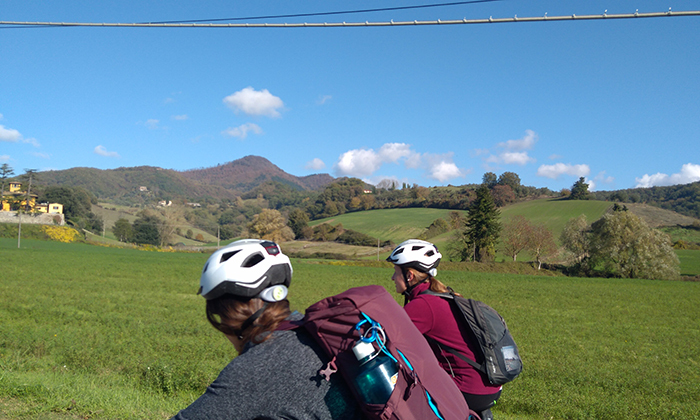 Mugellove offers the opportunity to explore the hilly region of Mugello and the foothills of the Apennines, and to have a pleasant and enjoyable ride. 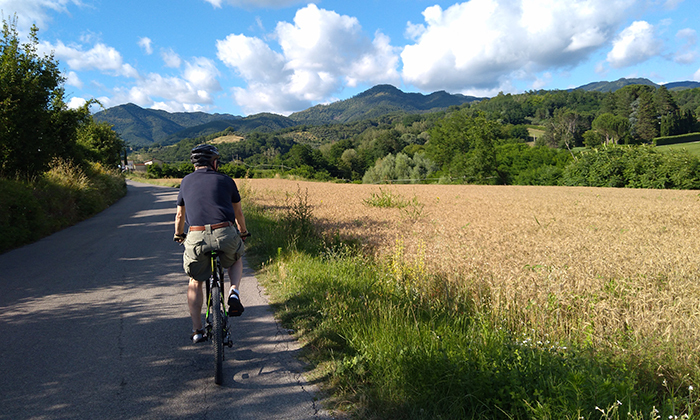 Mugello area is a combination of nature, history and local tradition and this tour carry visitor into the environment of the real italian mountain, for enjoy an authentic local experience. 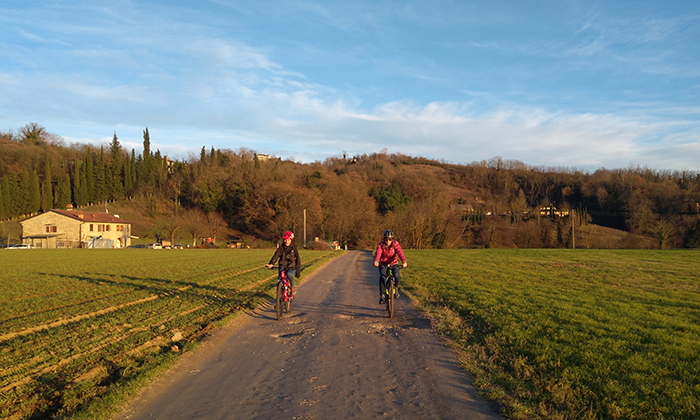 You’ll depart from the Santa Maria Novella train station in Florence and take the regional train to Vicchio (the meeting town in the region of Mugello). On the regional train, you’ll travel like a local, where trains are reliable, quiet, and facilitate a calm escape from city-life. 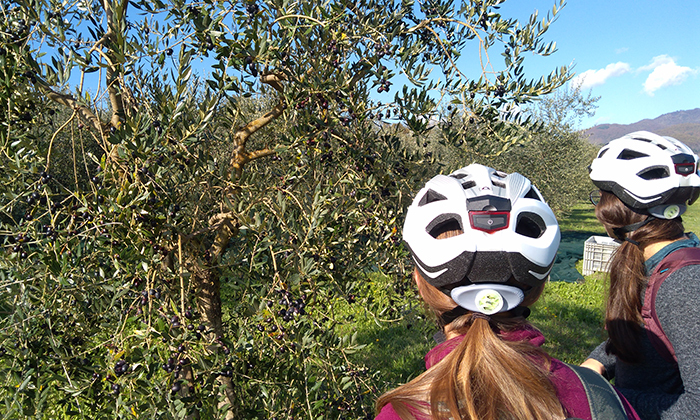 On the regional train, you’ll be introduced to the rolling hills of the Tuscan countryside with olive trees and vineyards. 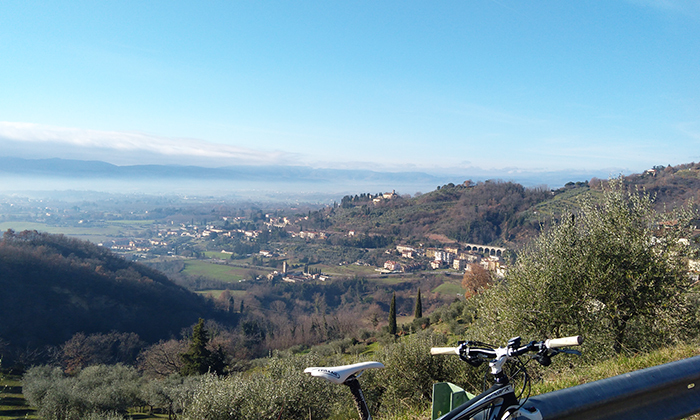 You’ll see the Arno river briefly to your right, and then Sieve river to your left. 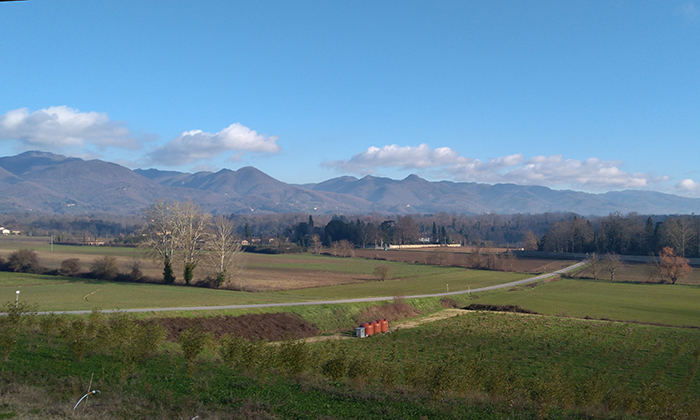 The valley of the river Sieve will be visible in front of you and it is directly located near the famous Vineyard Chianti Rufina. In this area - locals cultivate grain, grow sunflowers, and raise livestock. 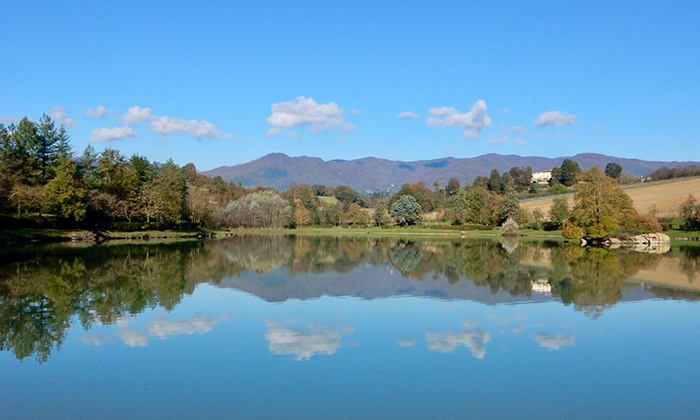 We’ll arrive in the area outside of Florence called Mugello which is the land where the Medici family had its origins, the birthplace of Giotto, and home to Beato Angelico. 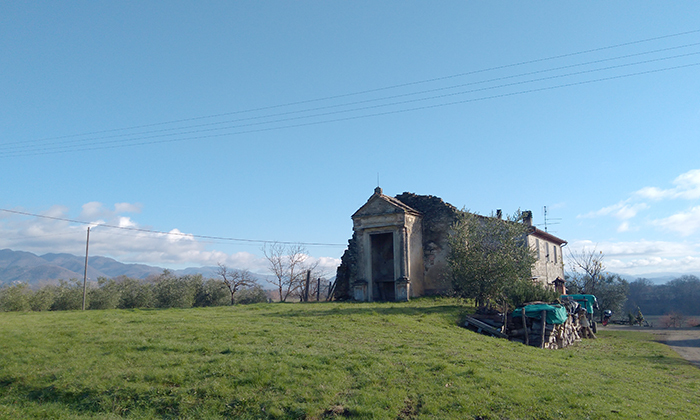 You’ll notice that many famous Italian painters, writers, and artists were deeply connected to the Tuscan countryside and this was visible in their works. 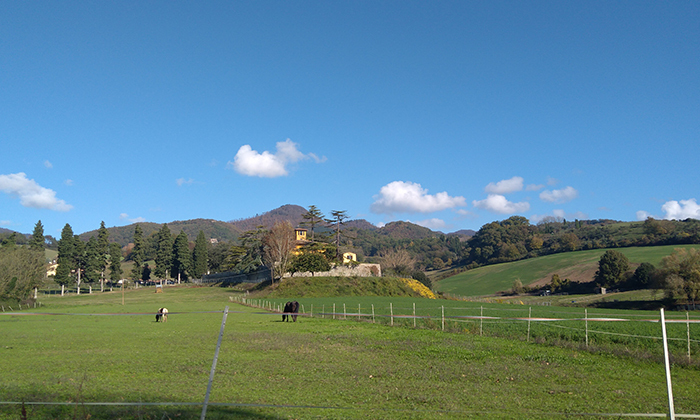 Mugello is called the “Garden Paradise”. 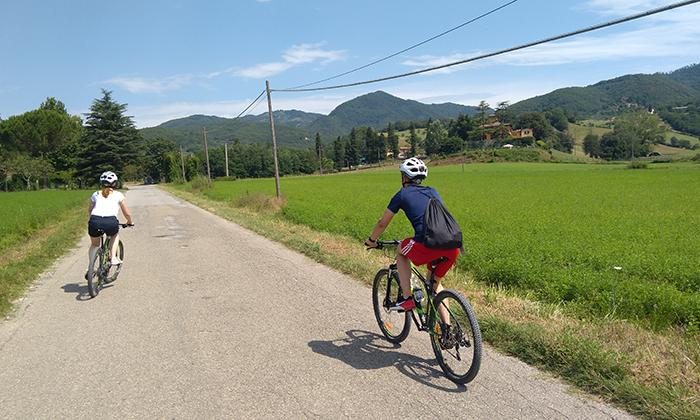 You’ll arrive at the Vicchio train station and you’ll be able to see the Apennines in front of you, ready to explore the mountains by bike. We will work with you to schedule the right departure hour. 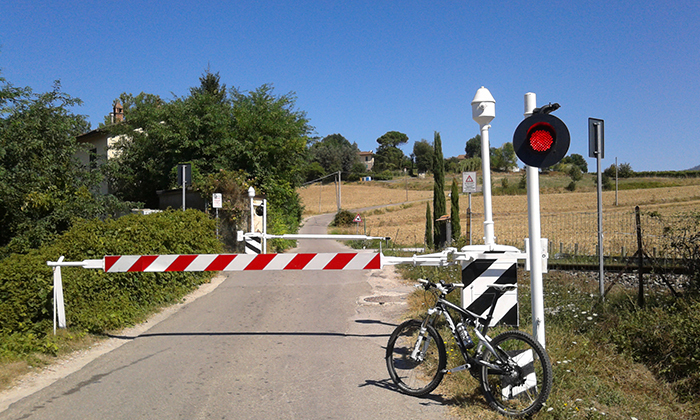 At the Vicchio Train Station you will meet the guide that will provide you the bike and accessories. 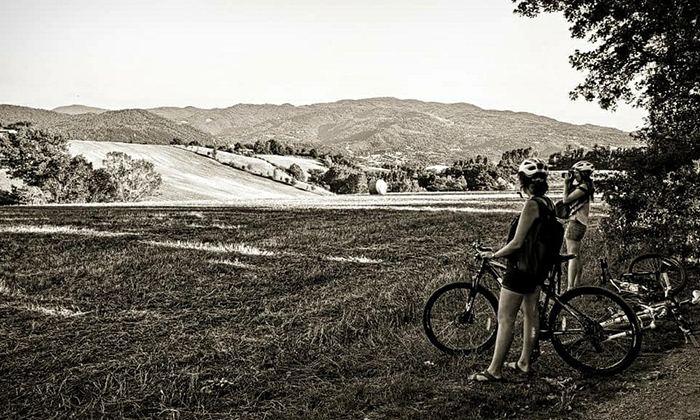 You’ll be fitted for a bike and will have the opportunity to bike in Tuscan countryside, away from traffic and industries. The scenic and peaceful rural area , with cultivated fields, vineyards, olive trees, farmouses, stately villas, and Romanesque churches, will be breathtakingly picturesque. You’ll be able to see the familiar chessboard colorful land plots, and hills of the countryside which will be reminiscent of your favorite movies that take place in Tuscany. 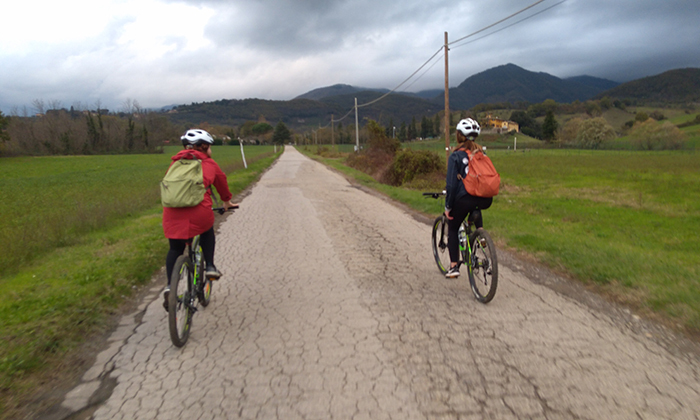 Cycling is the ideal way to experience this area authentically and without disturbing the environment. Along the way, we’ll stop at the famous church of San Cassiano in Padule, visit a farm that collects saffron and produces honey, and see vineyards. 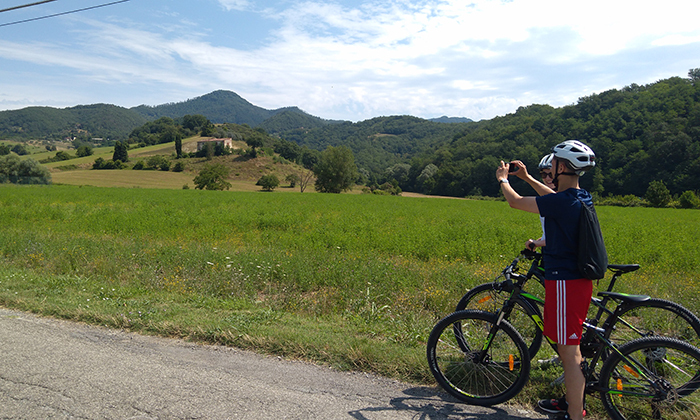 As we move past the river Sieve’s valley, you’ll be able to see the mountains of the Apennines, and you’ll see oak wood trees and chestnut crops! We’ll finally arrive at the village of Ronta where the tour ends. 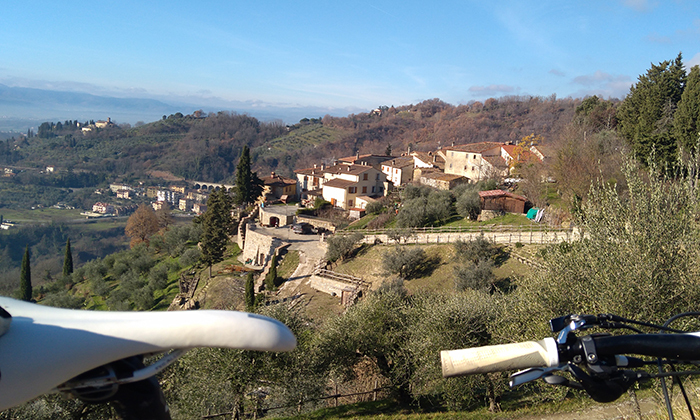 From there you can explore the area or take the train back to Florence. 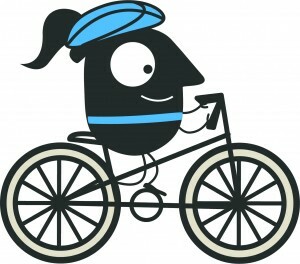 You’ll be fitted for a mountain-bike 21 speeds, helmet, light, bottle of water.